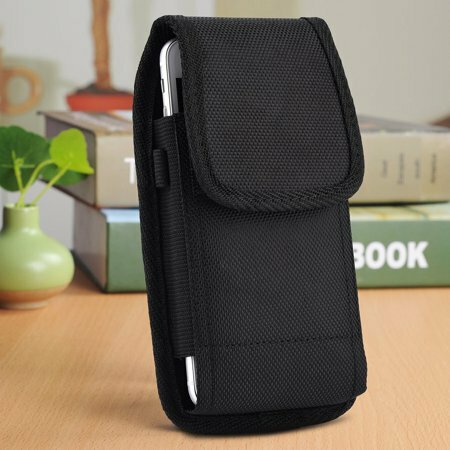 Safely carry your phone with this Vertical Carry Case. Premium leatherette and high-quality construction with black color stitching and sealed seams for durability and classic good looks. Canvas exterior with Velcro closing flap; inside lined with cloth.